Clear Medical (Marina Del Rey) - Book Appointment Online! Clear Medical is a unique Medical Practice dedicated to physical and aesthetic health. Lead by Dr. Shawn Abrishamy, Clear Medical offers a unique NON-SURGICAL approach to looking younger with our exclusive Liquid Facelift procedure. Far beyond Botox, and Fillers, our Liquid Facelift is a customized non-surgical treatment plan utilizing Dr. Shawn's natural approach to beauty using anatomy, physiology, and minimally invasive procedures to create a natural and youthful appearance without ever having to undergo plastic surgery. While we offer a wide variety of medical services, looking younger with clear radiant skin is our passion. 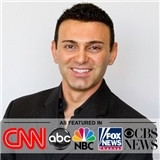 Dr. Shawn a leading authority in the Liquid Facelift procedure that has been featured in many media outlets such as Fox, CNN, ABC, CBS. He is a contributor to "Life and Style Magazine" and La Palme Magazine. I drive from out of state to see Dr. Abrishamy. He is the only doctor I trust to keep my skin looking great!